Rapper Snoop Dogg was detained at Oslo airport for minor possession of marijuana and slapped with fines before concert at the Hove Festival. Rapper Snoop Dogg was briefly detained at Oslo airport in Norway for carrying marijuana, according to reports. Snoop Dogg was sniffed out by a drug dog, and customs officials told local media they found 8 grams of pot on him. Norway is pretty lenient with its marijuana laws and slapped him with a minor fine for possession up to 15 grams for 5000 kroner, or $827, E! Online reported. However, that was not the only thing the Doggfather was fined over. He was also told to pay up for carrying large amounts of cash that exceeded legal limits, bringing his total fines to 52,000 kroner, or $8,600, according to E! Customs agents told local media that during the detainment he was polite and authorities did not know who he was until Snoop showed officials his ID. Snoop Dogg was set to perform Thursday night as a headliner for the Hove Festival and was reported as having arrived five hours late to the concert. When pressed by the Norwegian local news VGTV about his tardiness Snoop reportedly shot back, "I was late 'cause I went to go get some chicken wings…'cause I wanted to see Norway up close and personal, and visit an old folks' home. I went to visit a convalescent home. That's why I was late." 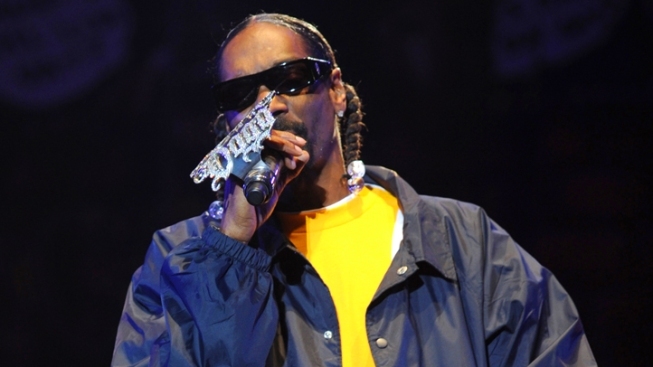 It wasn't the first time Snoop Dogg has had run-ins with the law over marijuana. The "Smokable Songbook" author was last busted in Texas in January.